Welcome to Webster’s Import Service! Webster’s Import Service, located in Greensboro, NC, specializes in the maintenance and auto repair service of import cars, trucks, vans, and SUVs. 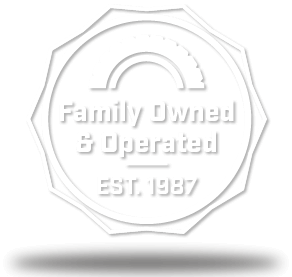 Our goal is to provide the highest quality of auto repair and maintenance to customers in a professional and friendly environment. We strive every day to make that goal a reality. 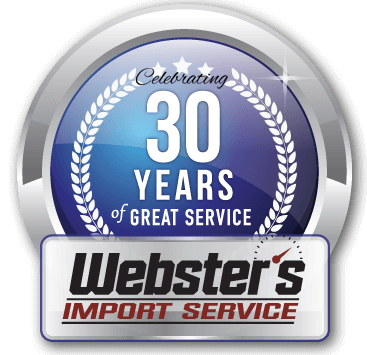 Webster’s Import Service is a family owned and operated auto repair business with a state of the art shop which includes nine lift bays, a 4-wheel alignment rack, and the latest diagnostic scanners and equipment. Today’s vehicles are computerized and complex, so it makes sense to get your car serviced at an auto repair shop that employs experienced ASE Certified technicians who are familiar with the design and specifications of your unique vehicle. Just like the dealer, we can perform your factory scheduled maintenance (ie.30/60/90K) and oil changes that maintain your new car warranty. Along with our oil changes, we do with a 30-point courtesy check which is a great way for us to check your car over, keeping it in good running condition and PREVENTING UNNECESSARY REPAIRS!! Webster’s Import Service is a certified NC State Inspection Station, doing both emission and safety inspections. Every car owner should have a mechanic they can trust to provide excellent care. Did you know it’s important for foreign car owners to have a mechanic that specializes in imported cars? Foreign cars are designed differently than domestic ones, but you knew that when you bought yours, right? Since they’re different, they require unique treatment and servicing. Having a specialized mechanic with adequate experience can make a huge difference in how your vehicle performs. Here at Webster’s Import Service, we create files for our clients that explain past services performed on vehicles and other important pieces of history we have working on their vehicles to avoid any confusion about repairs. This also allows us to tailor maintenance schedules to keep your car in great shape. We also know that it’s common for drivers to get their cars serviced and end up back in the shop with the same problem. We don’t stand for this type of service! It’s not that we don’t love seeing our customers, but we know that they have better things to do than come back for the same repair twice. We want to correctly diagnose and solve your issue the first time. We pride ourselves on our quality workmanship. 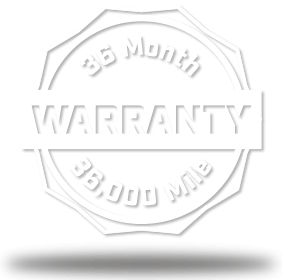 To back our confidence, we offer a 3-year / 36,000-mile warranty on all of our parts and labor. We believe that our quality customers deserve quality care for their quality vehicles, and we will provide just that. Let us exceed your expectations and get your vehicle running like it should. No car is too much of a challenge, and no problem will go unsolved. Come by Webster’s Import Service for the auto repair standards you deserve. We set the bar for quality import repair and service in the Triad area. At Webster’s Import Service, we strive to communicate openly at all phases of the auto repair or service, establishing a level of trust that keeps customers coming back to our shop. Over the years, a loyal customer base has led to countless referrals resulting in our number one source for new business. 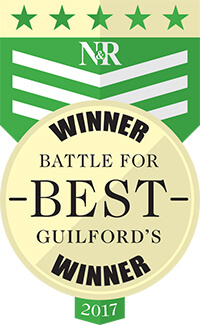 Webster’s Import Service is a well established, award winning import repair shop in Greensboro, North Carolina. We are proud to have earned the Go Triad Reader’s Choice Award for “Best Auto Care Center” for 2014, 2015 and 2016. We also won the “2015 Torch Award for Best Marketplace Ethics,” presented annually by the Better Business Bureau to a small business in the Central Piedmont. We encourage you to refer to our Reviews Page on this site and see the countless testimonials from our loyal customer base. We believe customer satisfaction is the most important part of our job. Please feel free to come by and meet the team and check out our shop at 306 Grumman Rd in Greensboro! You are welcome at Webster’s Import Service! Webster’s Import Service is very competent, fair, and honest. For almost 20 years, we remain very comfortable knowing our car is in their hands. I know that the advice I get on maintenance and problem resolution is what a good friend would give. A real pleasure to go to them. Roger Webster is a good car doctor in a world that is a bit less giving than not too long ago. Thanks, you guys. Roger has done excellent car repair as long as I can remember. He helped me originally with my Volkswagen. He’s helped my daughter too. He and his wife run a top notch honest affordable service. I’m proud to call them friends.